Room with one double bed plus one single bed, or three single beds. Private bathroom with bathtub or shower. 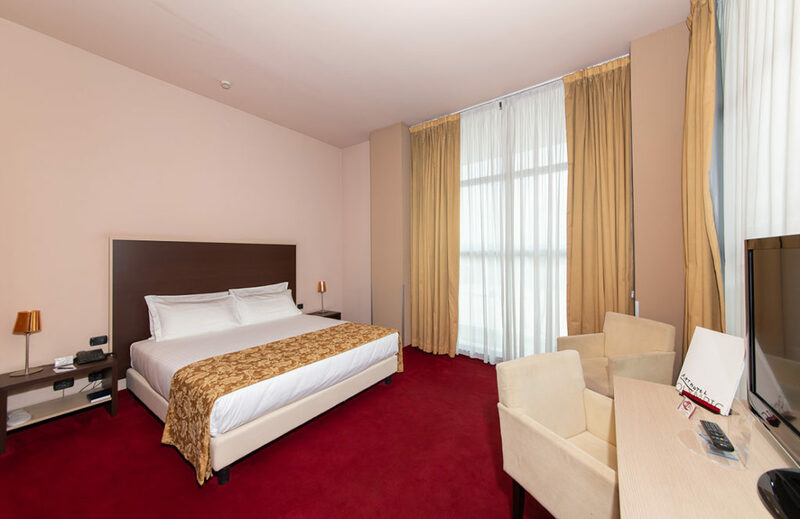 Minibar, hairdryer, air conditioning, LCD colour TV (32"), satellite channels and Mediaset Premium, safe, direct telephone line, high speed Wi-Fi internet access. Water kettle upon request.